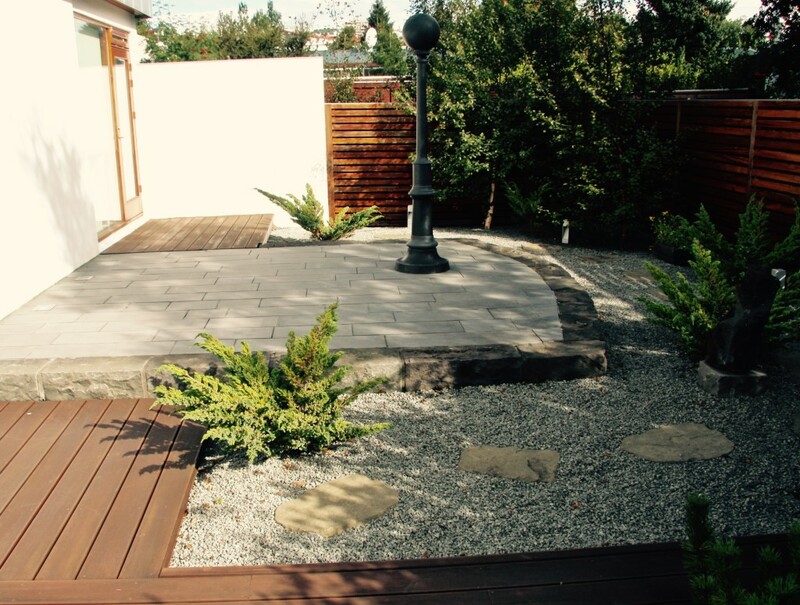 This garden was designed and built in 2005 for a small family wishing for a garden with plentiful possibilities of recreation and relaxation. 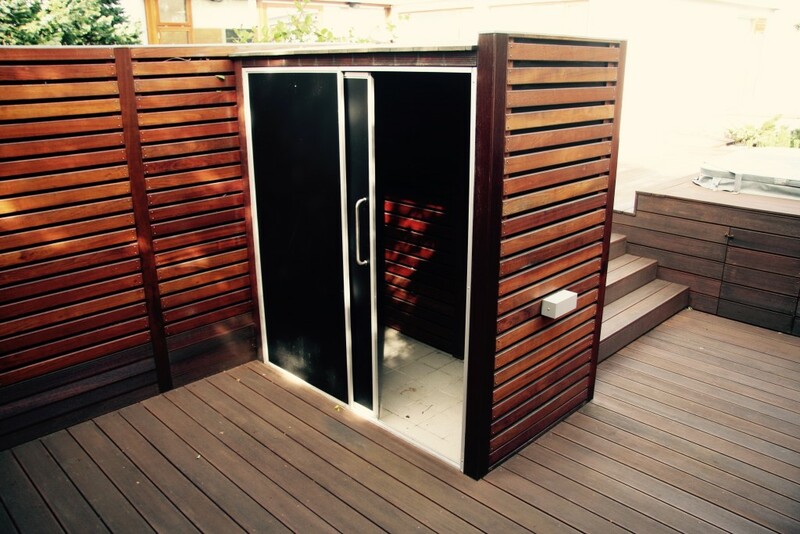 Durable materials and simple forms are at the core of the design. 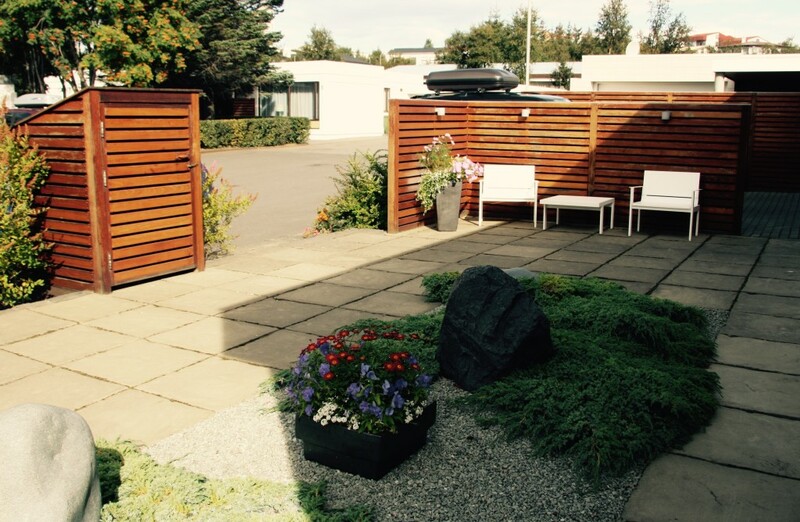 The outcome is a spacious and stylish garden with interesting details and recreational possibilities for all parts of the day. 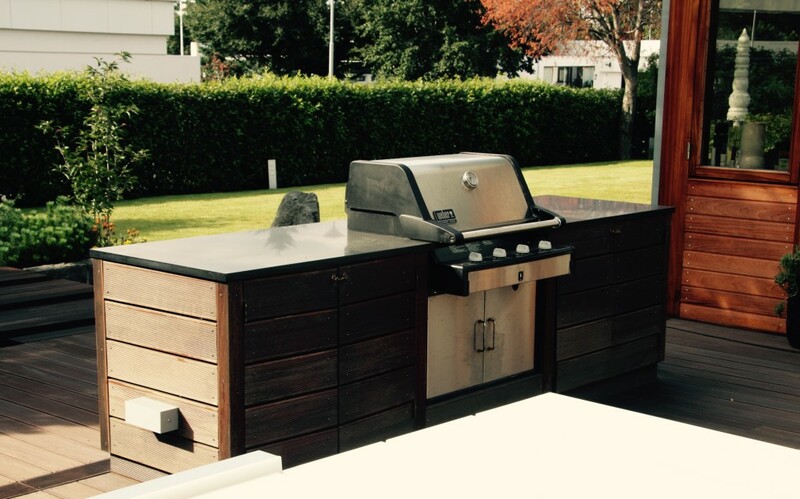 It has all the little luxuries one might want in a garden including a kitchen style barbecue, a hot tub and shower, a sculpture and a lawn shaped for sports and games. 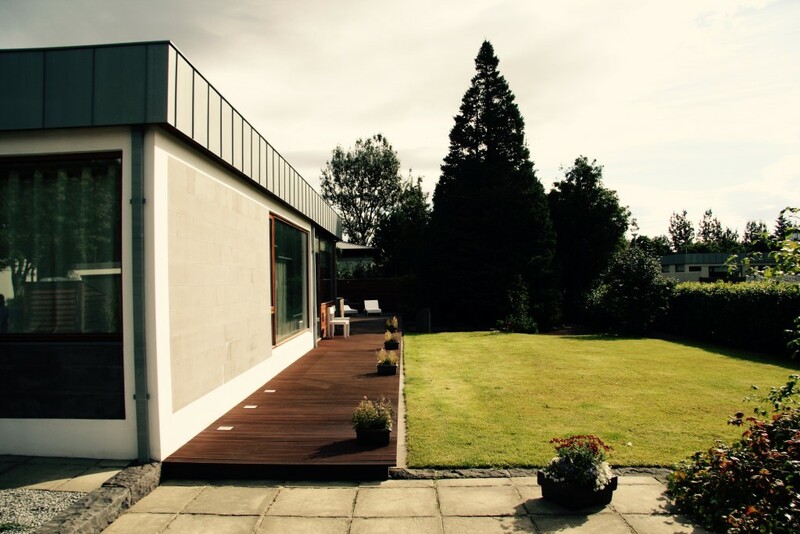 When you approach the house and garden from the street you are directed into a small sheltered area facing west. 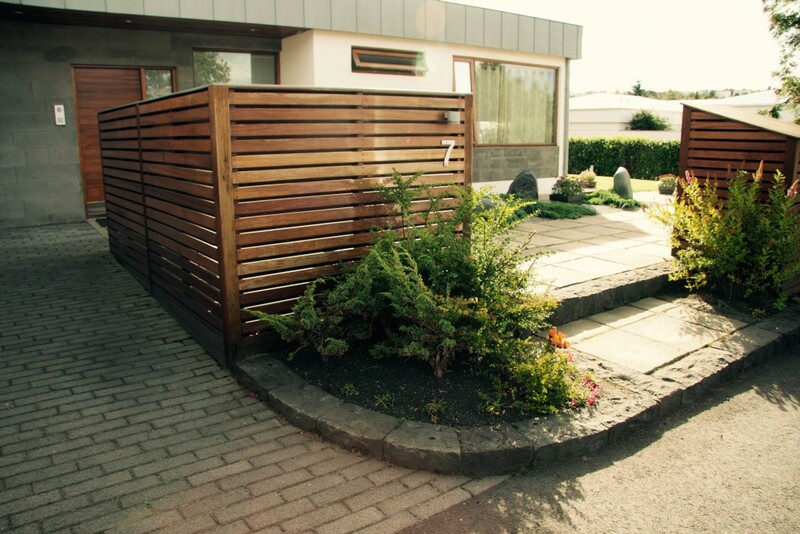 The parking space is screened from the frond yard with a hardwood fence and the curbing detail is hewn basalt. In this front yard area it is possible to catch the sun well into the evening. This is where a seat waits after a draining day at work for sipping a quiet drink before entering the house. 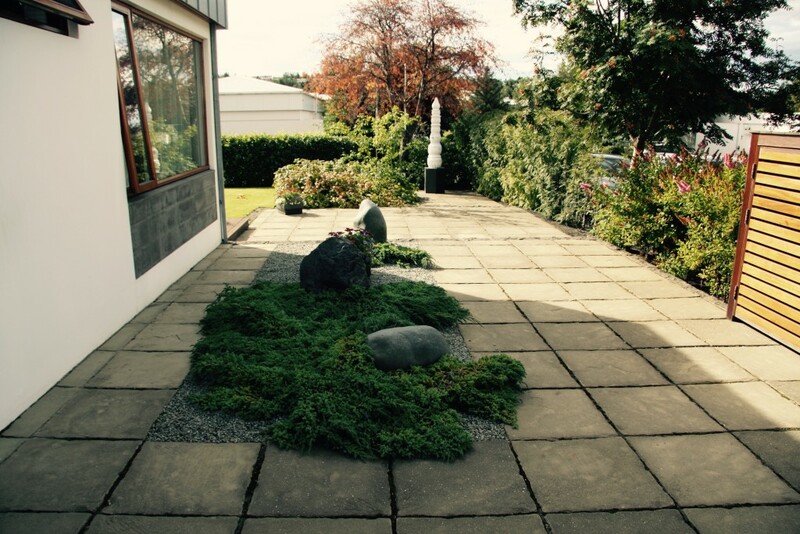 From this evening area you have a view over a Japanese style rock garden with evergreens ending in a sculpture. 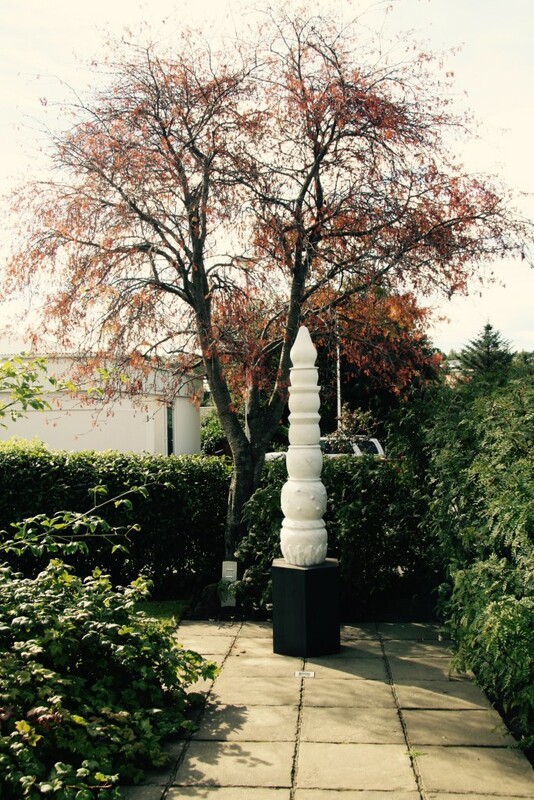 This sculpture is by Sólveig Baldursdóttir and sits in the corner where it is visible from three vistas. The front lawn faces south and creates endless possibilities for recreation. 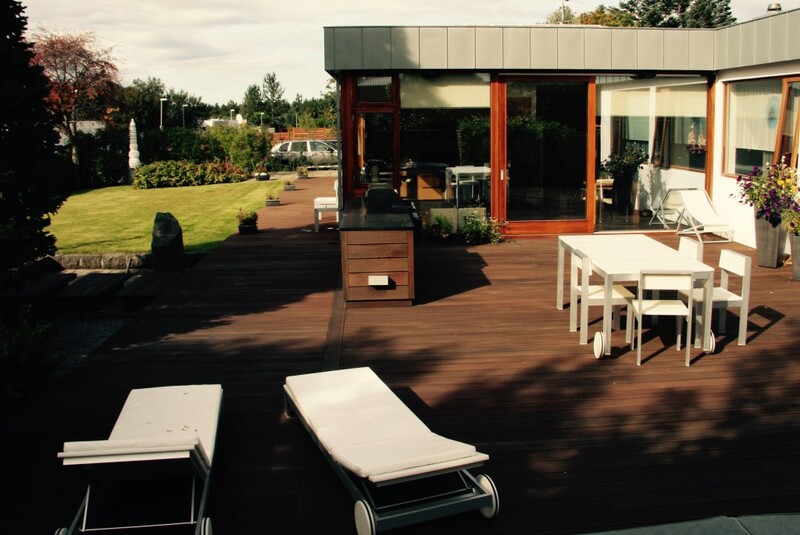 The main dwelling area is a spacious deck and roomier than any room in the house, great for those big garden parties. And of course a kitchen area with a basalt countertop and some cupboards for a few spices to use during the summer. The master bedroom patio is surfaced with sawn basalt columns. A great place to stretch after the morning run.